The No. 10 Texas A&M University-Commerce softball team has announced a schedule change. The Lions’ series against Texas Women University will now be played on Today and Friday. The teams will meet in a single game today at 5:00 pm. The teams will then meet in a doubleheader on Friday, with the first game beginning at 12:30 pm. The Lions have won eight games in a row after sweeping their road series against Angelo State last weekend. The Lions are currently 30–9 on the season and 16–5 in the Lone Star Conference. 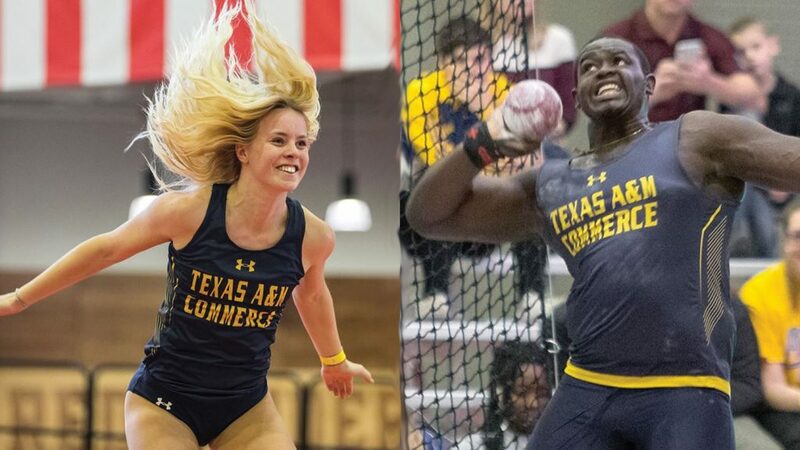 Texas A&M University-Commerce track & field athletes Minna Svaerd and Josh Boateng have earned Lone Star Conference Athlete of the Week awards. Svaerd was named Women’s Track Athlete of the Week while Boateng repeated as Men’s Co-Field Athlete of the Week. The Dallas Mavericks fell to Minnesota last night 110–108. Luka Doncic finished with 27 points, 12 rebounds, and six assists. Dallas will host Memphis on Friday night. The Texas Rangers have won their first two series of the seasons as they shutout Houston 4–0 last night. Mike Minor was brilliant on the mound as he struck out seven batters. Houston’s Manager and hitting coach were both ejected from the game after arguing balls and strikes. Tonight, Texas starts a four-game series with the LA Angels. Game time is 9:07 pm. It will be Volquez vs Harvey. Hall of Famer Bobby Cox, the Braves’ former longtime manager, has been admitted into an Atlanta-area hospital. Braves manager Brian Snitker told The Associated Press on Wednesday that he reached out to Cox’s family and was “very concerned” but couldn’t share details of his condition. Cox, 77, was admitted with undisclosed medical issues on Tuesday. The Braves have not released information on Cox’s condition. The UCLA Bruins and representatives for TCU coach Jamie Dixon have engaged on contract parameters and his buyout with the Horned Frogs on Wednesday, but no deal has yet been reached. Dixon is among the finalists to replace Steve Alford, who was fired by the Bruins on New Year’s Eve. UCLA also has targeted Virginia’s Tony Bennett, but the Cavaliers are playing in this weekend’s Final Four and Bennett has delayed any potential job discussions until after their season ends. Kelly Stafford, the wife of Detroit Lions quarterback Matthew Stafford, announced Wednesday that she will undergo surgery this month for a brain tumor discovered earlier this year. She announced the diagnosis in a lengthy post on Instagram. She explained the process of what she and her husband went through, from her starting to feel dizzy to eventually getting the diagnosis from doctors. Harris County prosecutors have moved to dismiss a felony charge of injury to the elderly against veteran defensive end Michael Bennett that is related to an alleged incident after Super Bowl LI at NRG Stadium in Houston. Bennett was a spectator in Houston to watch his brother, Martellus, then a player for the New England Patriots, on Feb. 5, 2017. After the game, Michael Bennett allegedly shoved his way onto the field, where players were gathering to celebrate. Security personnel, including a 66-year-old paraplegic woman, told Bennett he had to use a different entrance for field access, but he allegedly pushed her arm as he made his way through them. Houston Police Chief Art Acevedo said at the time that the woman suffered a sprained shoulder.